My esteemed St. Paul Pioneer Press employer is no longer in the dreadful downtown shoe box it had occupied since 1984. It recently sold off that awful building at 345 Cedar St. and, as of this week, is operating out of bright, modern digs just across the river. I’m elated since I found the dim, decaying old headquarters to be depressing (which is one reason I worked at home a lot). 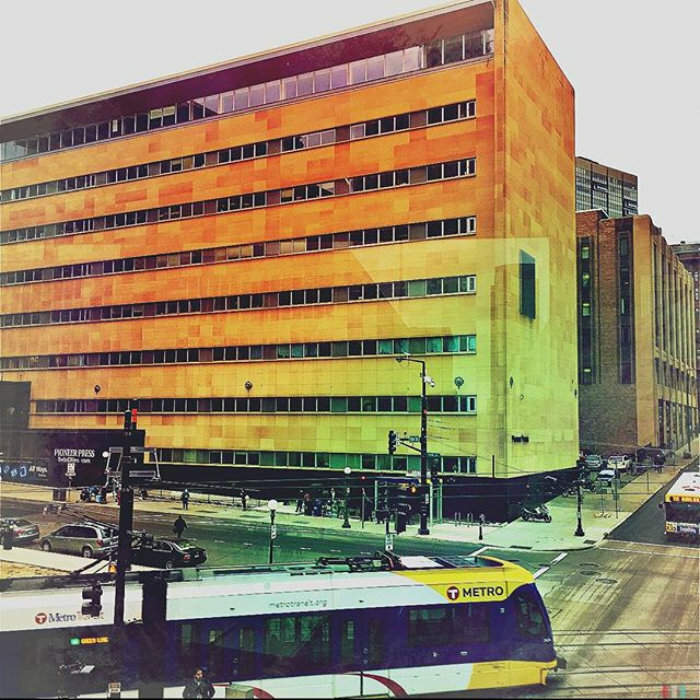 And yet, as the move date loomed last week, I felt sad about the imminent demise of the eccentric workspace where I spent the bulk of my journalism career (I’ve been at the Pioneer Press since 1987). So, in the last few days of the Cedar Street newsroom, I spent quite a bit of time visually documenting the space and the people in it. As you browse through the slide show below, you’ll surely feel twinges of sentimentality, as I did.